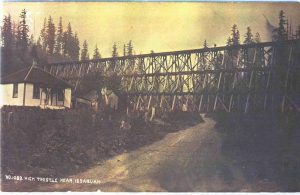 In this photograph from 1910, the Issaquah High Trestle is shown at the end of what is now Sunset Way as it enters the on-ramp to Interstate 90. The home on the left has been remodeled and expanded, but is still standing at 760 E Sunset Way. As construction begins on the new Sunset Interchange, the house will be removed. 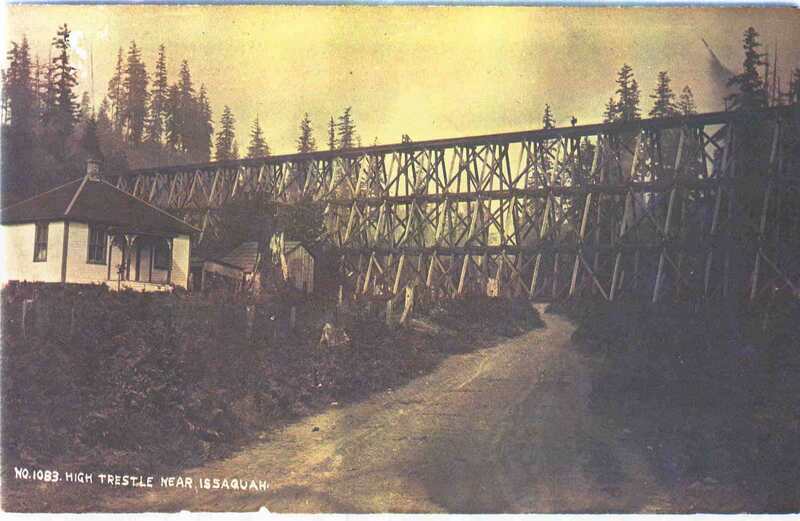 The trestle, built in 1888, was torn down in 1975 to make way for I-90.